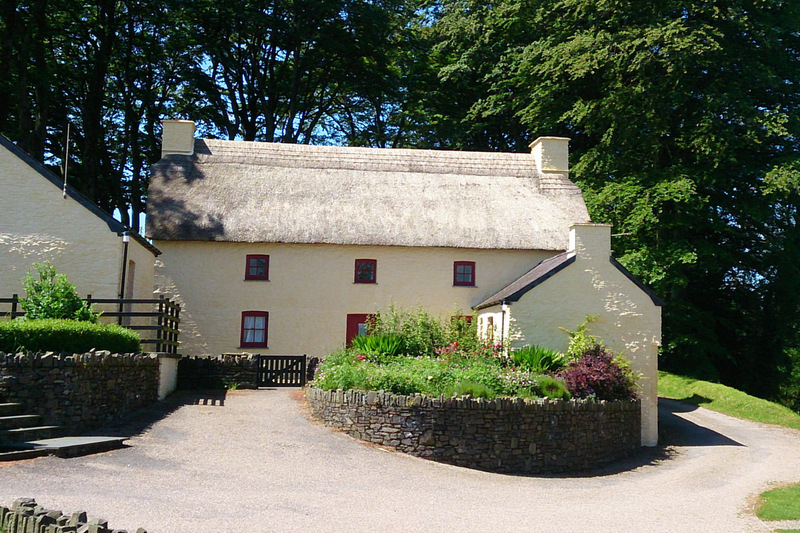 The thatched cottage is Treberfedd’s lovingly restored original Welsh Farm house. Yellow lime wash, a thatched straw roof and roses growing by the door make this 400 year old dwelling the perfect country cottage getaway. 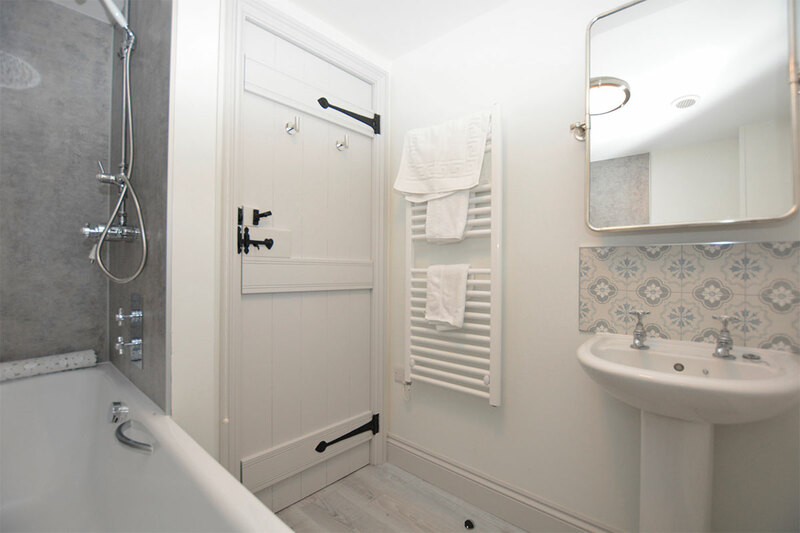 Inside are four bedrooms and a stylish blend of contemporary living and antique welsh furniture. 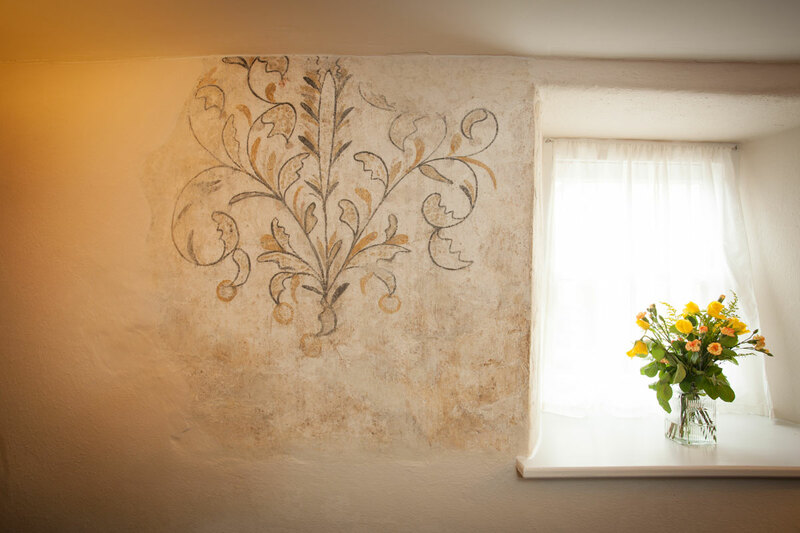 Original authentic wall paintings from the 1700’s take you back in time for a memorable country holiday. 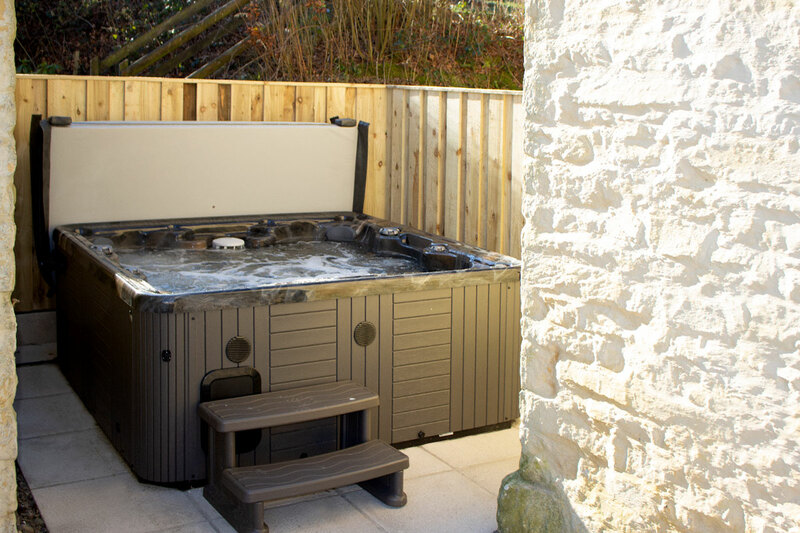 Plenty of living space in the self-catering cottage and a BBQ make the cottage an ideal base for exploring the beaches of Cardigan Bay. 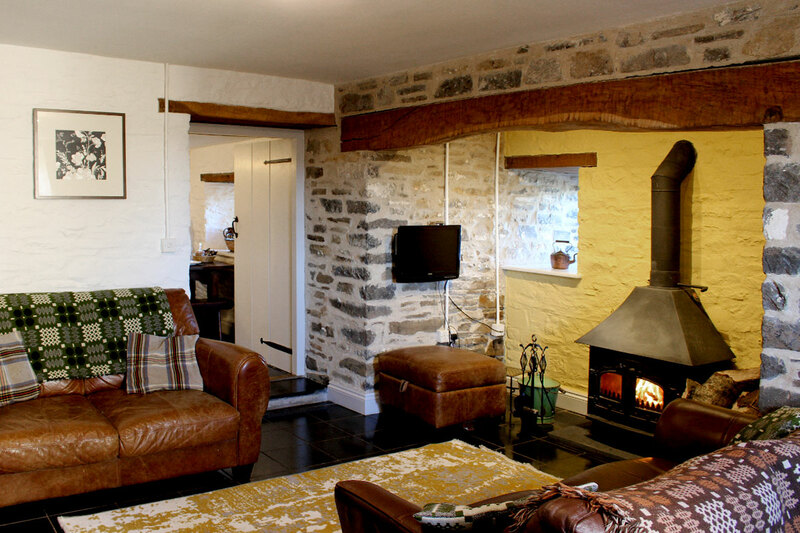 The log burning fire and underfloor heating makes the holiday cottage perfect for Autumn and winter short country breaks near the West Wales coast. 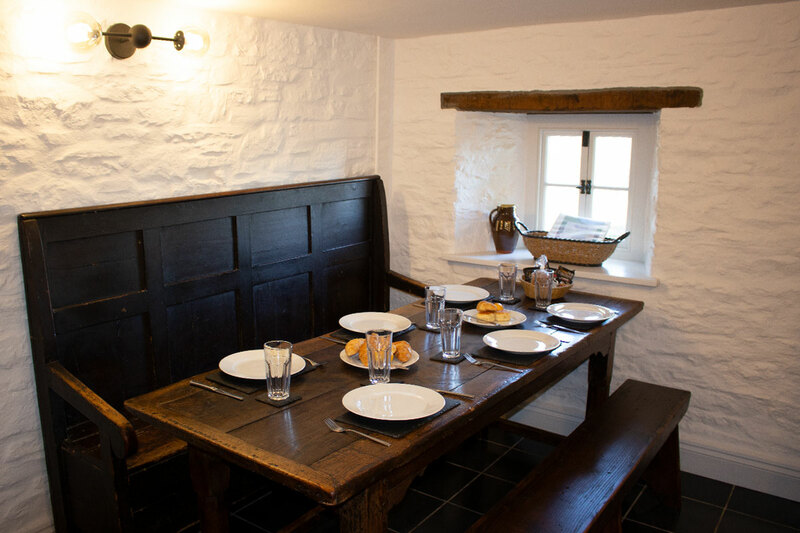 The Thatched Cottage consists of a fully-equipped, farmhouse-style kitchen with dining area which leads to a cosy sitting room with comfortable leather furniture, television, a beautiful inglenook fireplace and wood burning stove. Baskets of homegrown firewood are provided free of charge. 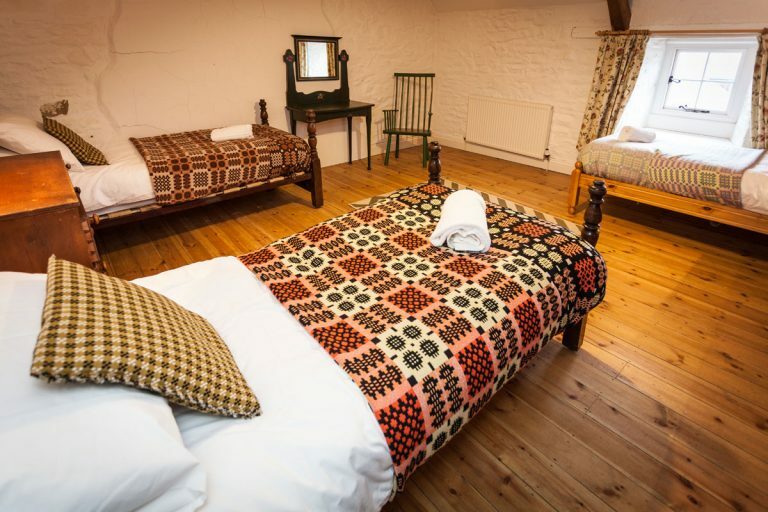 There is a spacious double room with antique standard double bed on the ground floor. 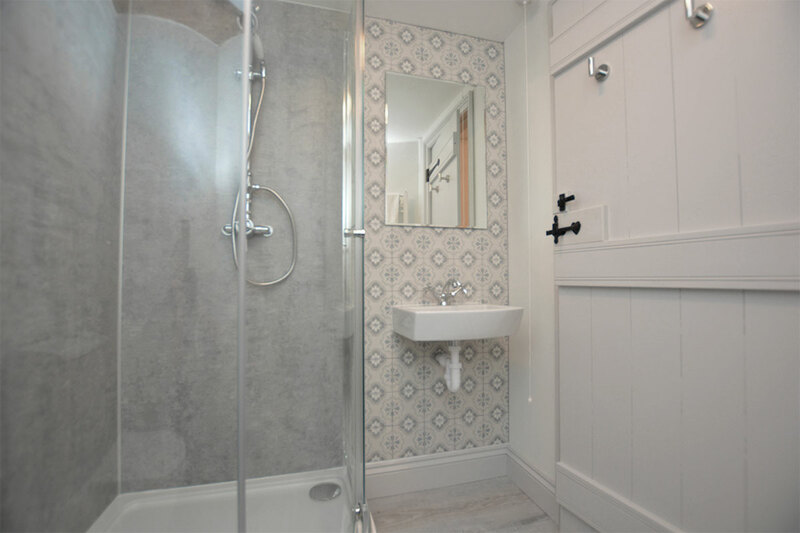 The bathroom is located downstairs, plus separate shower and wc room. The thatched cottage has a hot tub. 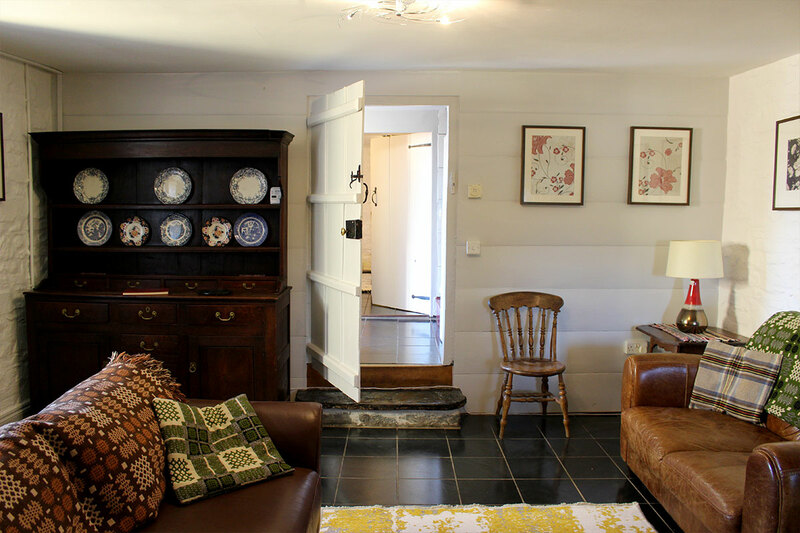 The cottage has a wooden staircase leading to three further bedrooms on the first floor: a master double with king size bed, a triple room with three single beds and one single room. 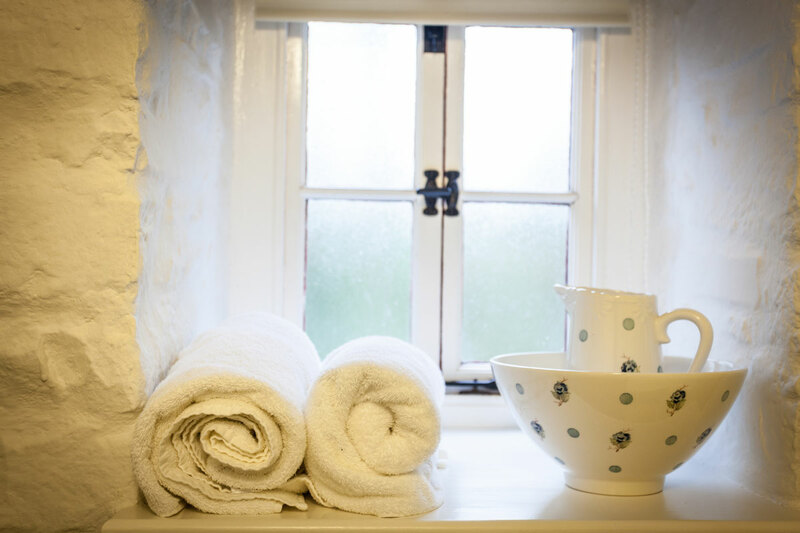 This holiday cottage is a grade II listed heritage building with many original features like lower than standard doorways and steps between reception rooms on the ground floor and a wooden staircase with some uneven stairs. The bathroom is downstairs. Please feel free to get in touch with us before booking if you wish to discuss accessibility. 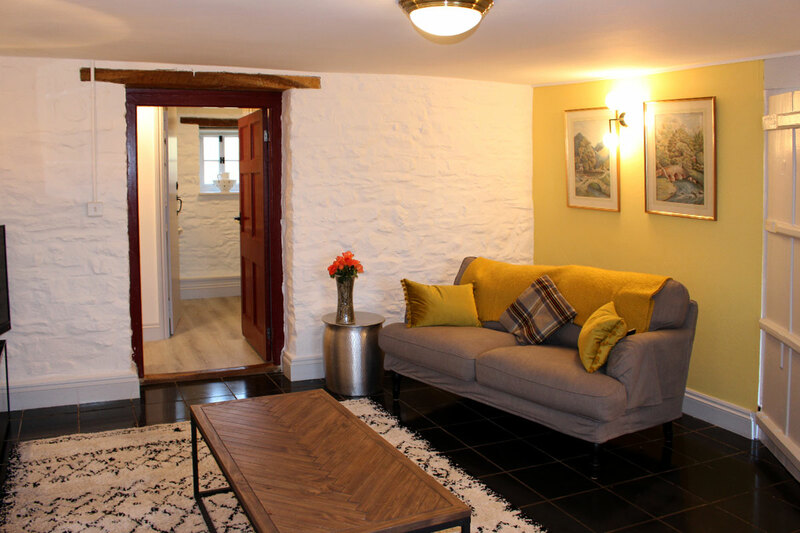 Sleeps up to 4 people – The Granary Cottage is a cosy open plan barn conversion with a unique blend of modern comfort and historical features. 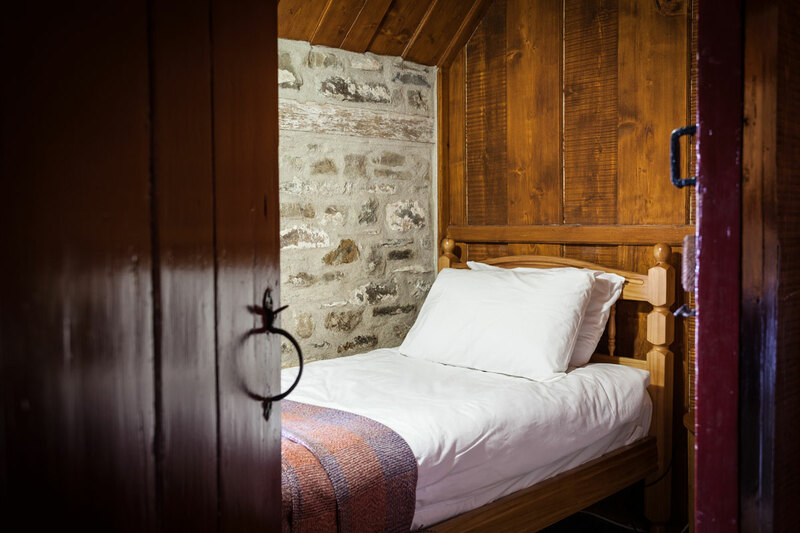 Sleeps up to 9 people – The Old Cart House was created from one of the farm’s traditional Welsh barns, and is our largest cottage. 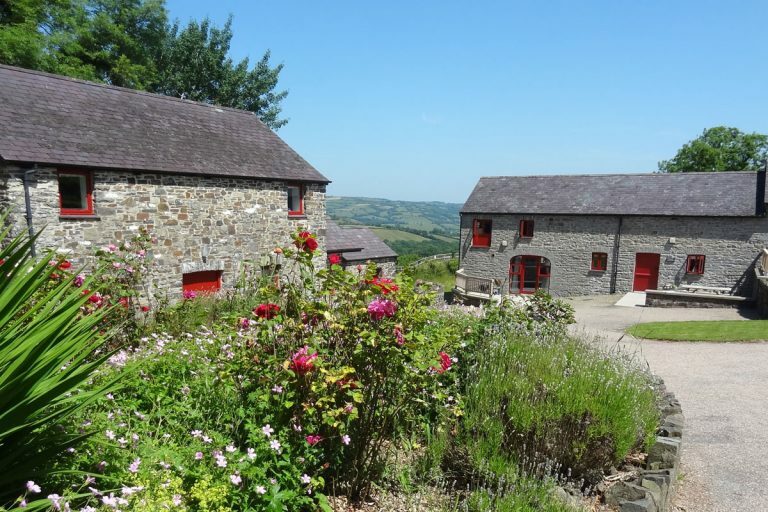 Sleeps up to 7 people – The Farmhouse is a modern farm cottage with stunning views over the sweeping meadows and hills of the Welsh countryside. 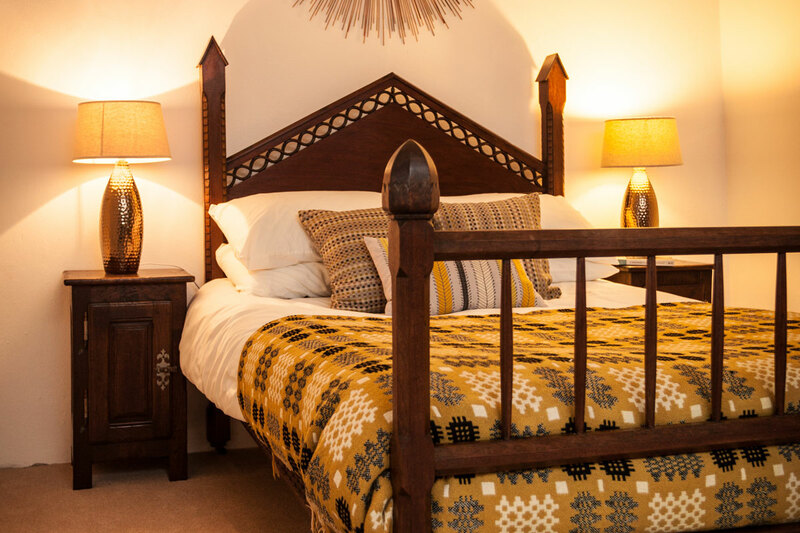 to receive email newsletters from ourselves about Treberfedd and our special offers. Please note, we never disclose this information to third parties and you can unsubscribe at anytime. Treberfedd Farm is a trading name of Longview Properties Ltd, company number 04073203. 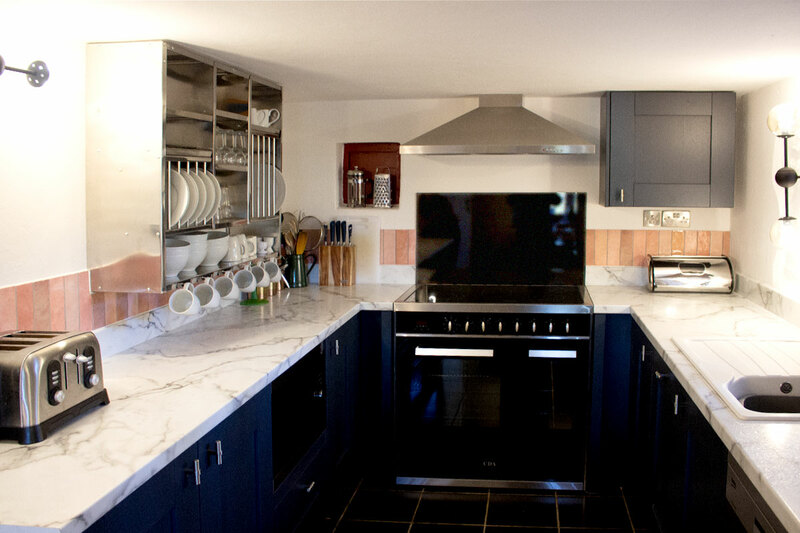 Registered address: Treberfedd Farm, Treberfedd, Lampeter, SA48 7NW, UK.